1. 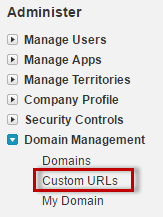 Go to Custom URLs. 2. Find the correct site detail for the community. 3. Map Authorization Required Page Salesforce (401) to CommunitiesLogin instead of UnderConstruction page.